Last weekend marked the beginning of college football season! Go Cowboys! I love this time of year, especially because of the insane, record-breaking summer we just had. The mornings are cool and crisp but the sun is out and warms the afternoon, perfect mix of cool and warm. I also like long sleeve shirts, jeans, weenie roasts by a campfire and the smell of fall. I also realize I am not in college anymore and shouldn't dress like I am, but I love hoodie sweatshirts and just can't let them go. Anyway, another reason I love college football games is because we almost always eat fun game-day food. I went to Oklahoma State University in Stillwater and we started the tradition of eating great food on game days. If it was an away game, there would be meat smoked, chips and dips a-plenty and tasty treats. Home games could be enjoyed at Eskimo Joe's eating world-famous cheese fries or in parking lots on tailgates. Ahhh, I can smell the game-day flavors now! Sorry about the sidetrack, back to last weekend and food! 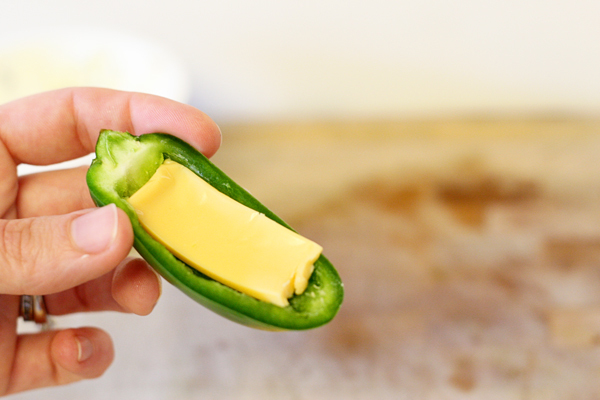 Now, I didn't invent this recipe and there are probably a hundred different recipes out there on these but I'm going to go ahead and share how I make jalapeno poppers. 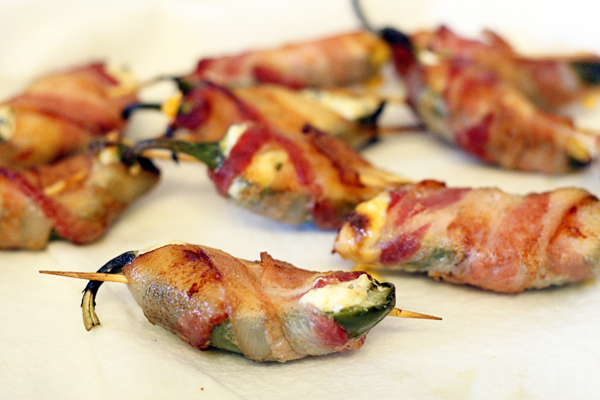 These are one of those perfect game-day treats: two bites, on a stick and make no mess. Preheat the oven to 375 degrees. 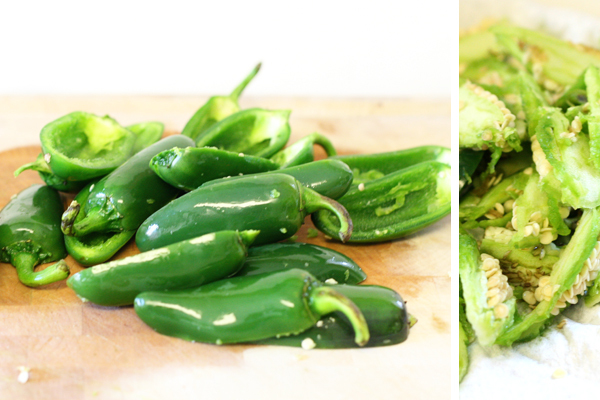 Wash the jalapenos, slice them in half and remove all the seeds and ribs (those are the hot parts). 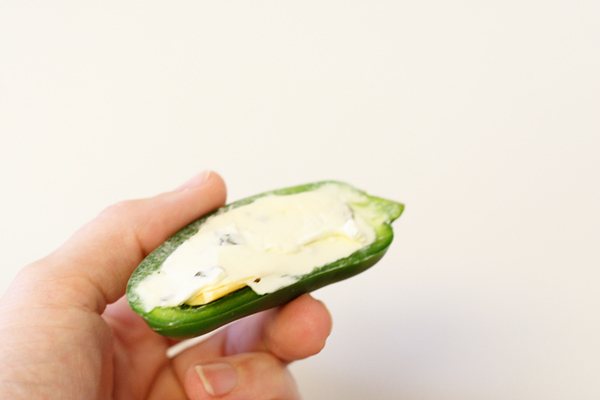 Then cut the American cheese into little strips and put one into a jalapeno slice, then spoon in some cream cheese and set aside and repeat with the remaining jalapenos. 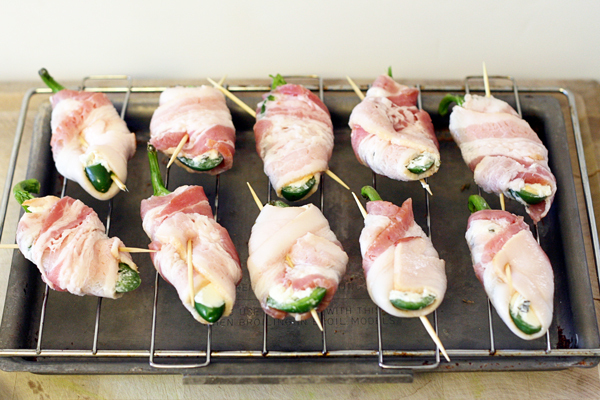 Next, cut the bacon in half lenght-wise and wrap one half of a slice of bacon around the cheese-filled jalapeno. (Sorry, no pics here due to gross raw bacon germs.) Then stick a toothpick or small kabob stick through on end to the other to hold the bacon in place while it cooks. 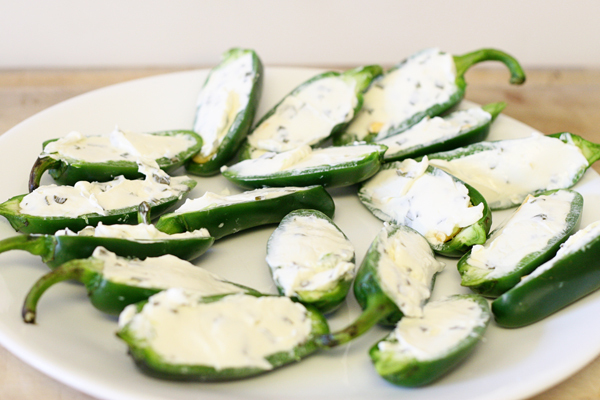 Repeat with the remaining jalapenos. 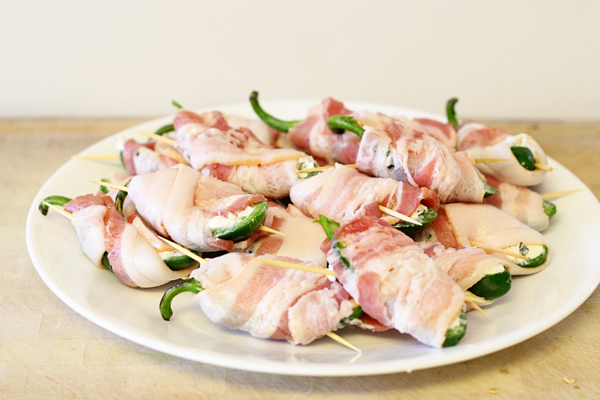 Put the assembled poppers on a wire rack and bake for 30-35 minutes or until the bacon is brown and starts to crisp. 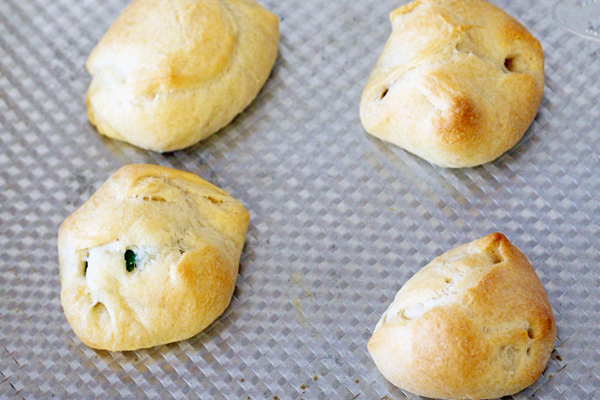 Let them cool a few minutes before digging in, otherwise you'll melt your tastebuds off. These are also really good cooked on a grill but the husband was fishing so I had to use the oven which was also good. I also bought enough jalapenos and bacon to try this recipe I saw on pinterest, but due to a small kitchen fire that ruined all the cooked bacon pieces, I only got to make a few. The few I did get to try were dangerously good! So there, proof I'm still around and still cooking. 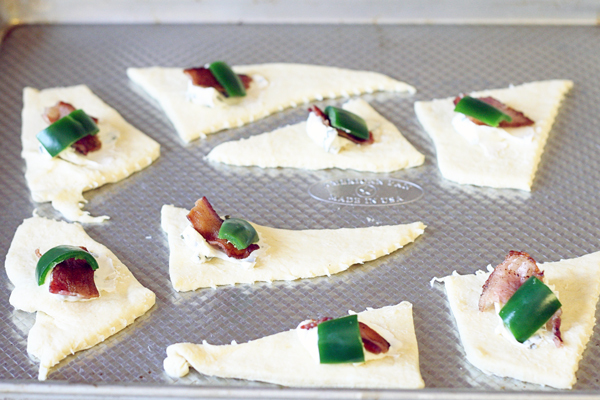 they look really good... have to try! sometimes when i read your food post- i wish your hand popped out of the computer and handed me a sample!